Hello everybody! My name is Claudio Reston and some people call me ‘Haroldinho’ (that’s a long story). I’m a brazilian graphic designer from Rio de Janeiro, and one of the partners of Visorama Diversões Eletrônicas. 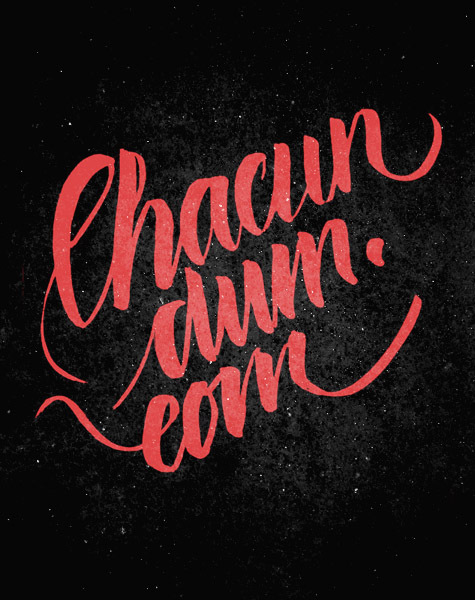 Chacundum is my personal and intimate space, a place that I chose to share with you what I like to do with typography, in my (not at all) spare time. Most of what you will see is 100% hand typed, but this is not a rule. The only rule that I assumed is: be typographic.